Why theater? : The living, visceral reality of experiencing a play is something that can't be replicated. Also the community that a theater builds is unparalleled in this very challenging business. Lesser America has been fortunate enough to build an incredible arsenal of collaborators, as well as a stellar group of repeat attendees and supporters. 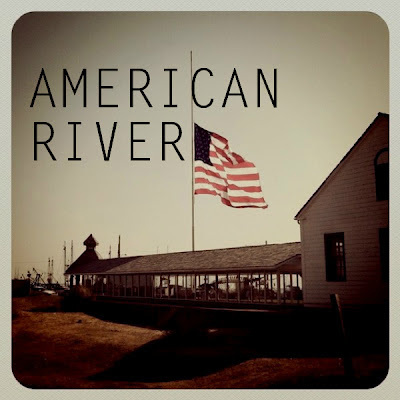 Tell us about American River and Lesser America: American River is a play about young people trying to make moves, fighting to achieve their dreams but failing in the face of some pretty intense limitations. It's already gained some buzz among our friends and fans as the "meth play", but we don't want to let it be misunderstood as a story about problem drug users, so much as it's a story about people having navigating some truly daunting life challenges, who just so happen to abuse some substances in the process. Though I guess meth and major life challenges tend to go hand in hand. You don't see meth that often on stage, and that seems to be of interest to people. Lesser America is a small family of theater artists that started producing theater in 2008, that are dedicated to putting out accessible, entertaining theater at low cost to the viewer. What kind of theater speaks to you? What or who inspires you as an artist? : Theater groups that have been successful at establishing an aesthetic and building an artistic community are our primary inspiration - Steppenwolf, LAByrinth, also some of the younger companies in neighboring theaters whose members we collaborate with always serve as a guide and reminder as to why we make theater. We're also interested in branching out into mediums beyond theater, so there's potentially a lot to learn from DIY film producers, internet comedy groups, etc. This generation seems to be characterized by its ability to self produce. Thanks to modern technology we have the tools to put our own stuff out there, rather than rely on someone else to provide the work. Even just watching short films, music videos, and sketches online keeps us hungry and the creative impetus alive. Any roles you’re dying to play? : Not really, no. What’s your favorite showtune? : "Give My Regards to Broadway". If you could work with anyone you’ve yet to work with, who would it be? : If we could get Mike Nichols to direct a Lesser America show, that would probs be pretty cool. Who would play you in a movie about yourself and what would it be called? : Meryl Streep would endeavor an unprecedented performance, embodying her role as intangible entity (theater company) in a mind bending, staggering epic about the rise of the Lesser American revolution. What’s your biggest guilty pleasure? : On this show - American River - the guilty pleasure is props. Can't get enough of em. New props every day. Here there everywhere. What show have you recommended to your friends? : Tribes, The Bad and the Better that the Amoralists are currently running. Also guys. Go see Beasts of the Southern Wild. Just see it. What’s up next? : American River. A world premiere play by Micheline Auger, directed by Stephen Brackett. Featuring John Patrick Doherty (Bright New Boise, The Coward), Laura Ramadei (Squealer, The Year of the Rooster), Brendan Spieth (Aliens at Weston Playhouse), and Robbie Sublett (You Better Sit Down, Other Desert Cities). July 12 - 22 at Theater for the New City.